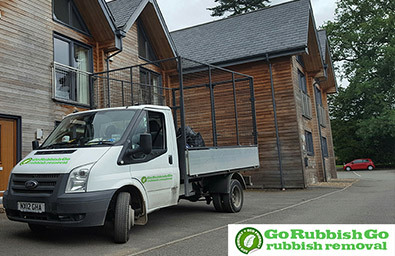 Throughout the past 10 years as a company, we at Go Rubbish Go have met many home owners who have struggled with the bombardment of junk in their homes. What we as a company aim to do is to take this worry out of their heads and their homes with the best skill and professionalism. 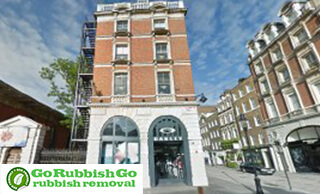 With our Covent Garden house clearance service we can eliminate the rubbish and your worries in quick time. In your home, you will not have to look at the clutter any more or break a back trying to shift it all yourself. 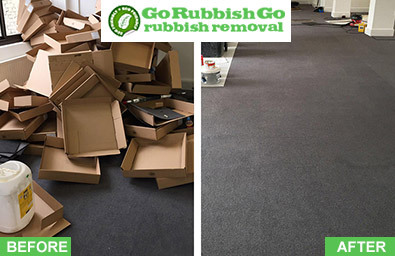 Call today on 020 8610 9182 to make your first step towards a rubbish-free home! Book our cheap house clearance service WC2 and save big! We know that the current economic times are tough and that to couple these tough times with an immediate service which costs money is stressful. Go Rubbish Go aims to defeat the tricky question of money. We have deals and offer low WC2 house clearance prices to make sure you stay afloat financially. We also highlight the fact that you are paying for the removal of individual items, not paying for the disposal of commercial waste. This eliminates the secret strings and gives you a clear view of what you are spending for your house clearance in Covent Garden. So if this gives you the confidence to go ahead with restoring your home get on the phone today and call 020 8610 9182. After extensive choosing and testing with our careful training, we are very confident to give you our team of experienced workers. Each of our members have been scrutinised and deemed qualified, so you don’t have to think twice about placing trust in us and your subsequent house clearance in WC2. Hire our Covent Garden house clearance service and our team will carry out the job in your house with the quality and skill which we put into them. Nobody should have to doubt the credentials of the workers, and it is with confidence that we can say our team is one of the best. Call today on 020 8610 9182 and let our team complete your job with class. Sometimes a home falls into neglect due to your busy lifestyle, and we understand this better than anyone else. Allow us to be the helping hand which can save your home from the neglect. By hiring us for a house clearance in WC2 you no longer have to fret over the clutter of your home or worry about the laborious workload. Open space in your home can work wonders and you can finally plan whatever it is you have wished for! Say goodbye to the rubbish with a house clearance in Covent Garden and welcome in the valuable space which could turn around your home and lifestyle. Book today! We know that the state of the environment nowadays is of more importance than it has ever been. That is why we have decided to recycle around 85% of your unwanted clutter which will be removed with your WC2 house clearance. We also try to make sure that our vehicles travel few miles to your house in order to cut pollution and to save valuable fuel. So if your rubbish is of no use in your home, it is certainly of use in the local recycling centres. Treat your home to a Covent Garden house clearance and you will also be doing your vital bit for the betterment of the environment! Unlike a lot of other WC2 house clearance companies, we do not have strict hours of availability. We make sure that we are available evenings and weekends in order to bring you what you need. We also don’t let public holidays get in our way, so don’t let it get in yours! We know that sometimes there are just not enough hours in the day, so we have made more hours to make sure your home gets what it needs. Call us on 020 8610 9182 and we can complete your Covent Garden house clearance job regardless of the hour. We can even be at your house in WC2 within hours after your call! Located near London’s popular West End, Covent Garden is a bustling district in the heart of London. It is often affiliated with its fruit and vegetable market, but it holds much more than this. The Royal Opera house, also situated in the area, is a major attraction, along with its many other theatres and places of entertainment. The area also has numerous museums and places of worship – some of which are landmarks. Its streets often abound with street performers and pubs and restaurants. Covent Garden technically falls within the London Boroughs of Camden and Westminster. Covent Garden is served by the Piccadilly line of the London Underground.